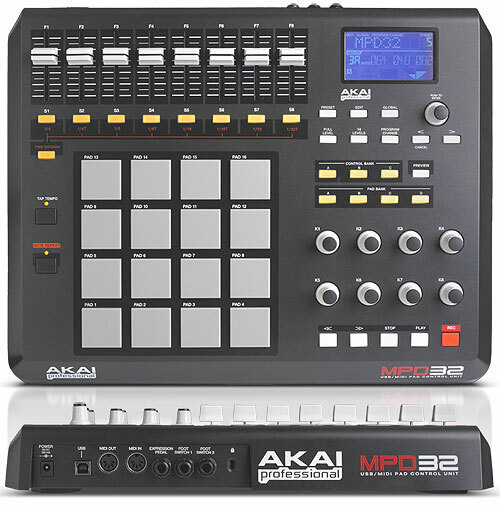 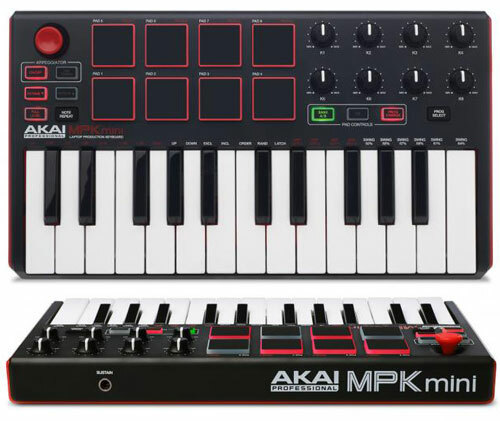 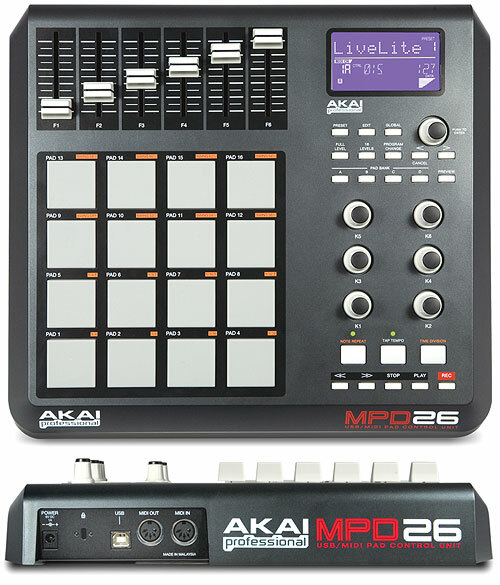 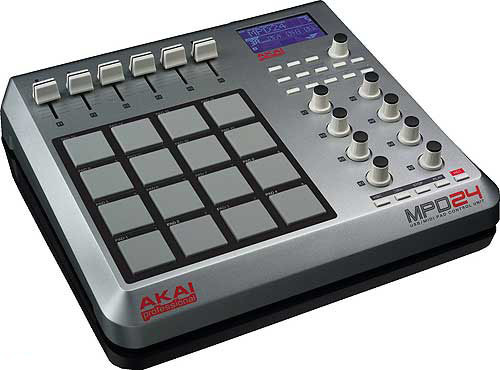 Akai MPKmini - USB/MIDI controller keyboard, ultra-portable software MIDI controller, 25x velocity sensitive mini keys, 8x backlit velocity sensitive MPC-style pads (2 banks, 16 total). 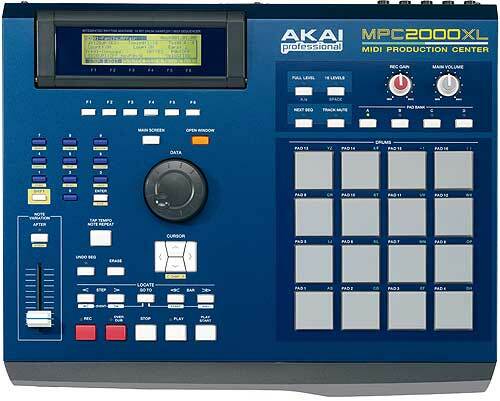 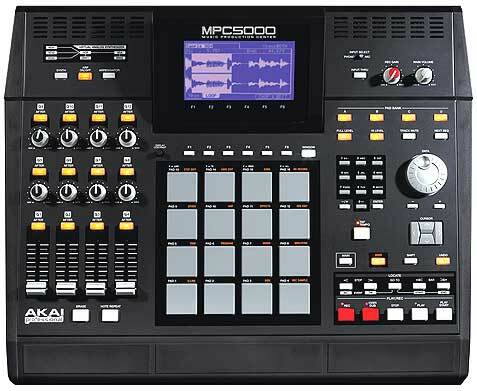 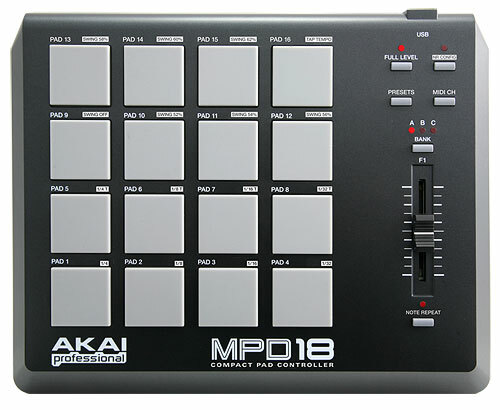 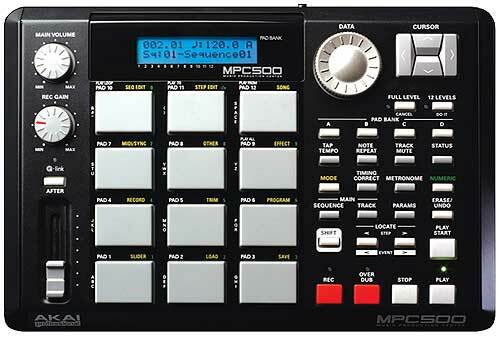 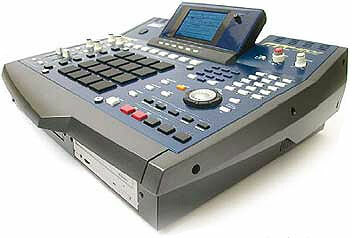 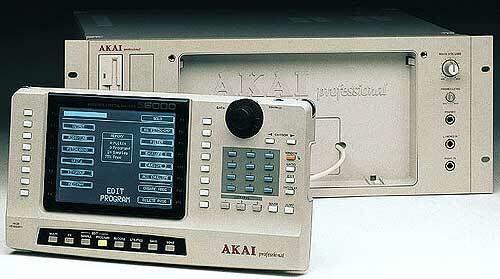 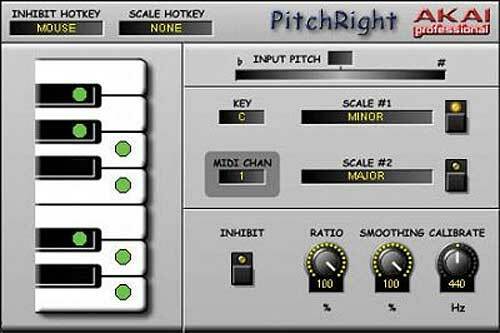 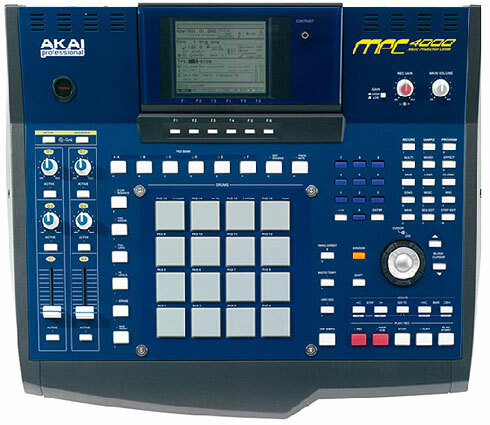 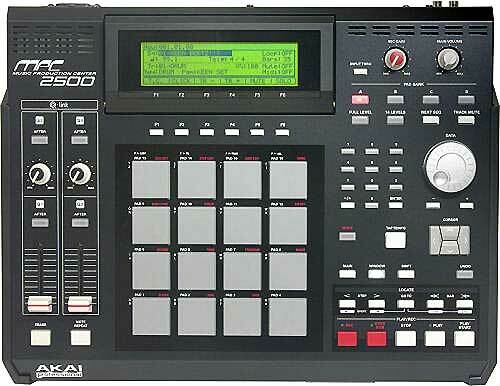 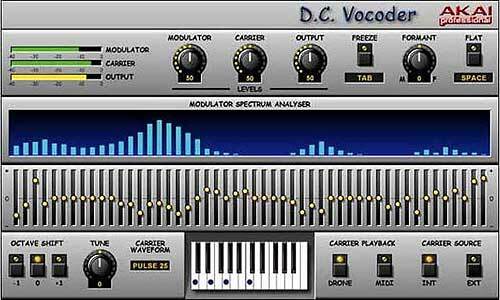 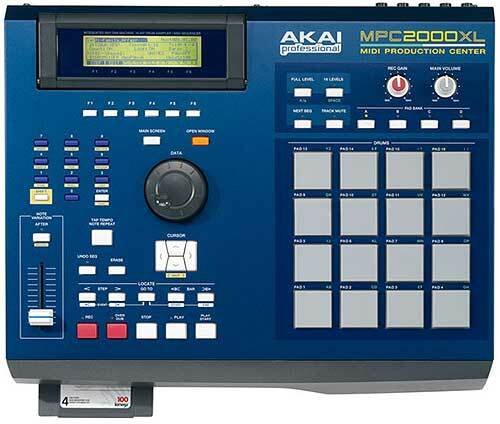 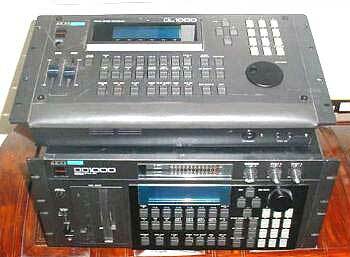 Pads can send note information, MIDI CCs and program changes. 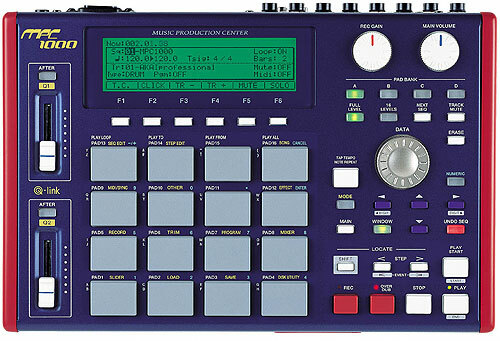 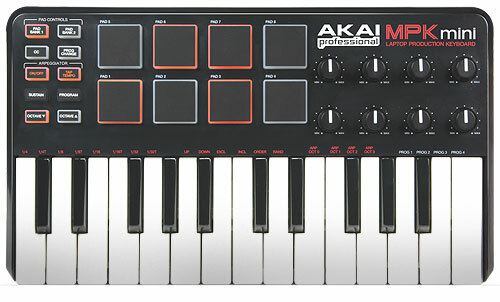 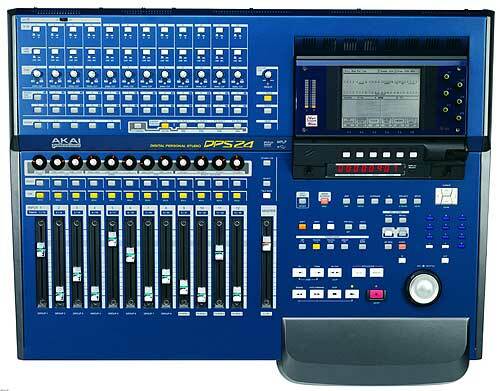 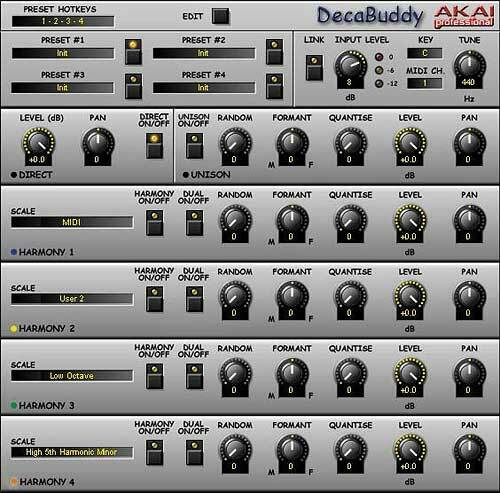 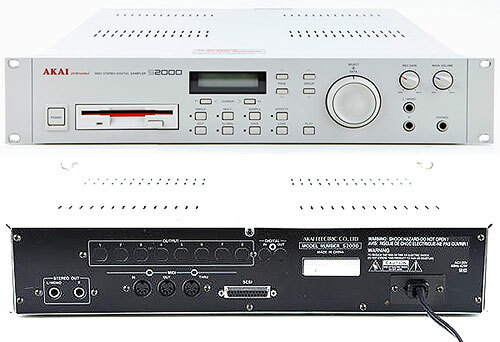 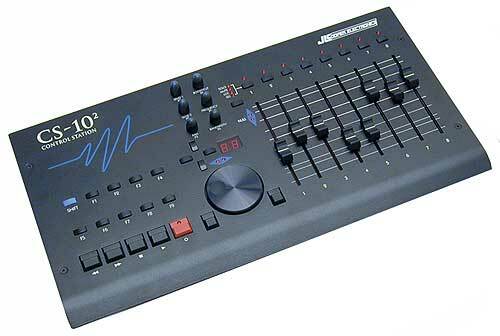 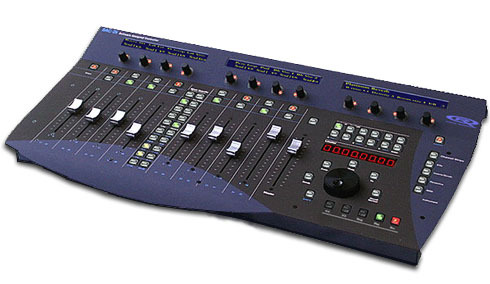 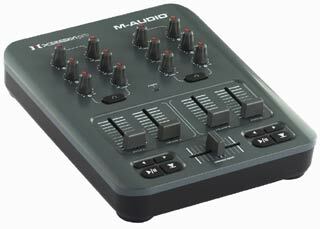 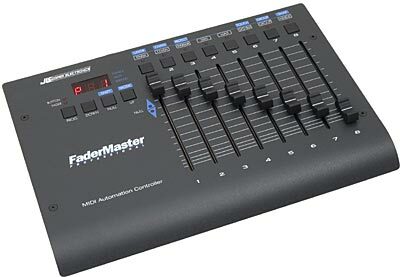 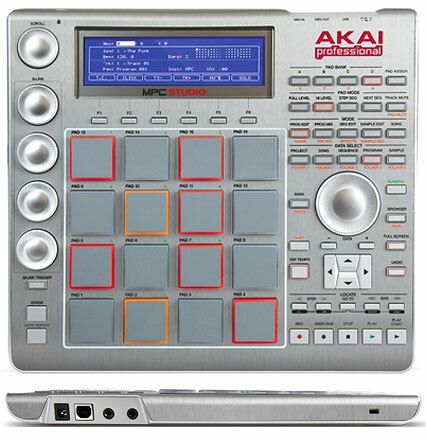 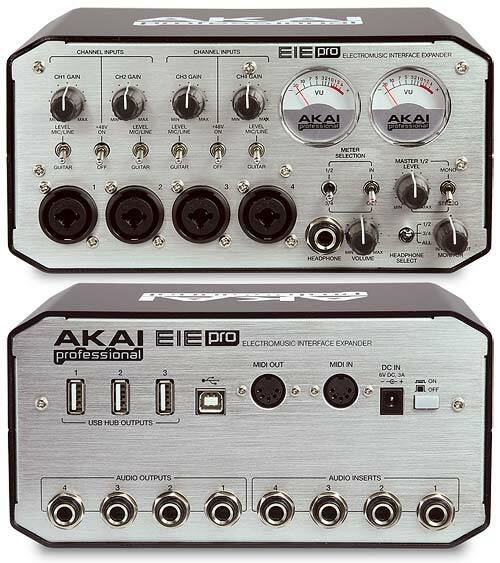 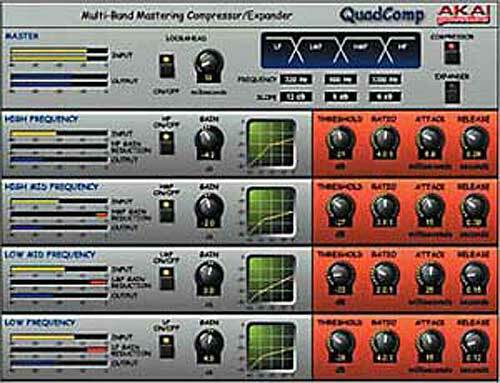 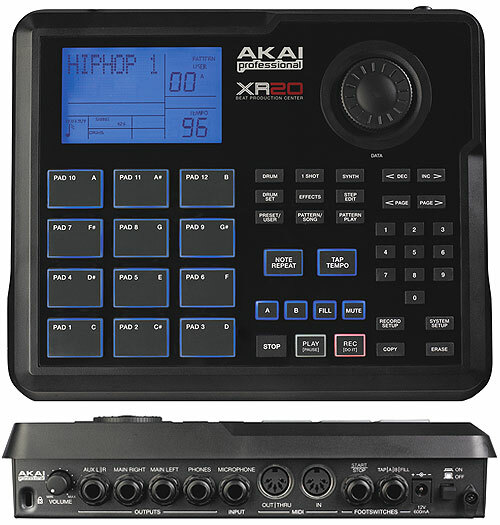 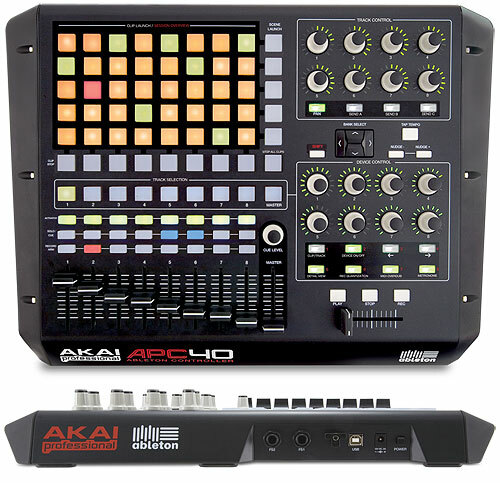 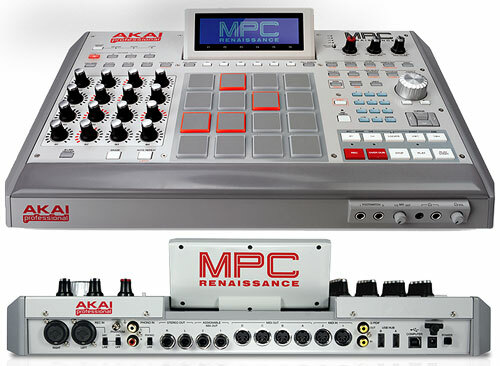 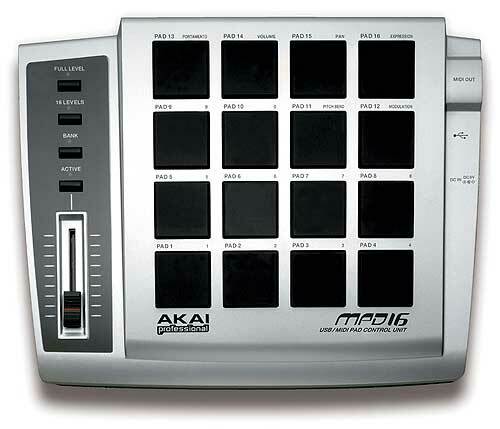 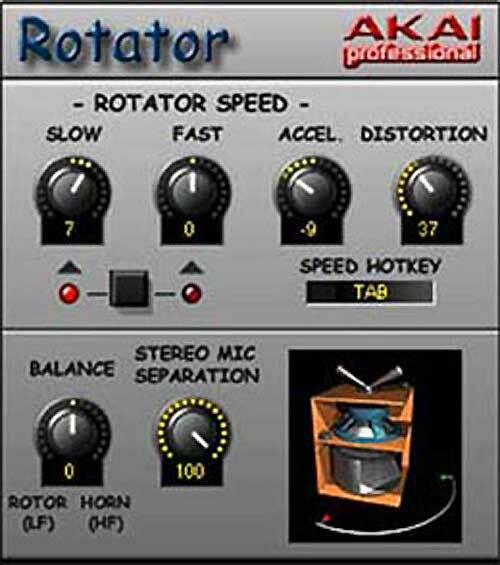 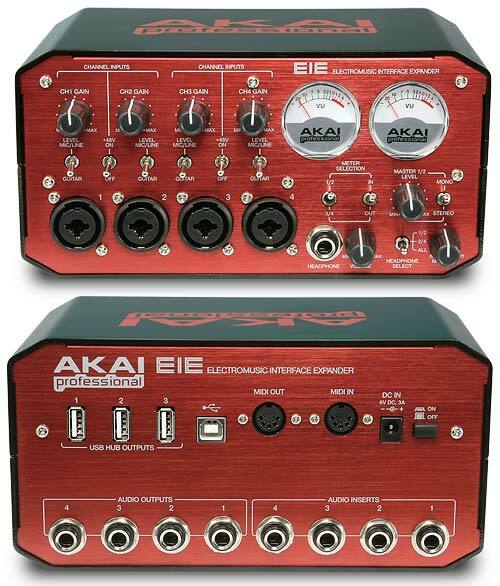 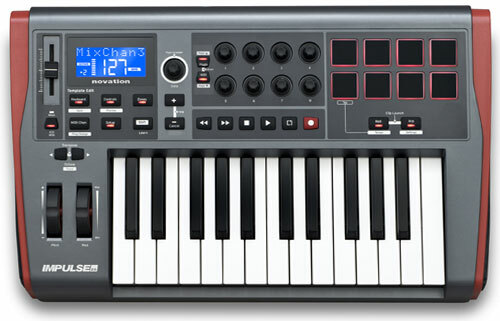 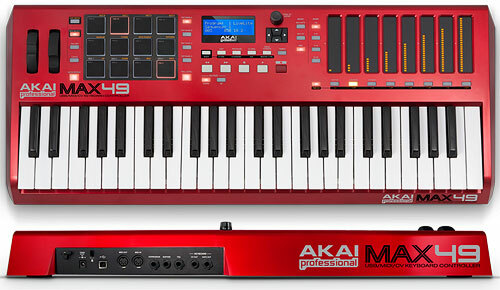 8x assignable Q-Link knobs to adjust virtually any parameter, built-in arpeggiator with adjustable resolution/range/patterns, tap tempo button, dedicated octave up/down/sustain buttons, program recall button to restore up to 4 separate global settings, solid Akai Pro design, USB-powered, includes software editor.